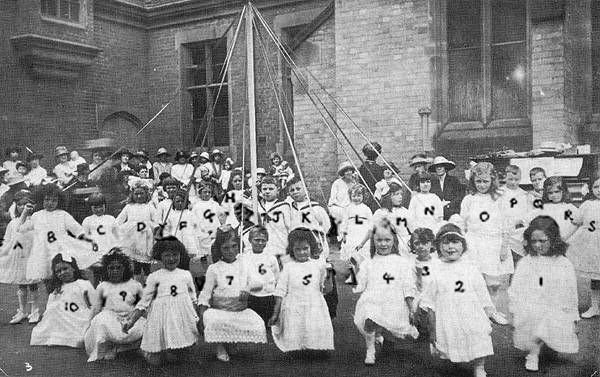 The church schools were built at the same time as Holy Trinity Church and in all probability opened in 1842 - despite the fact that one of the houses bears the date 1841. 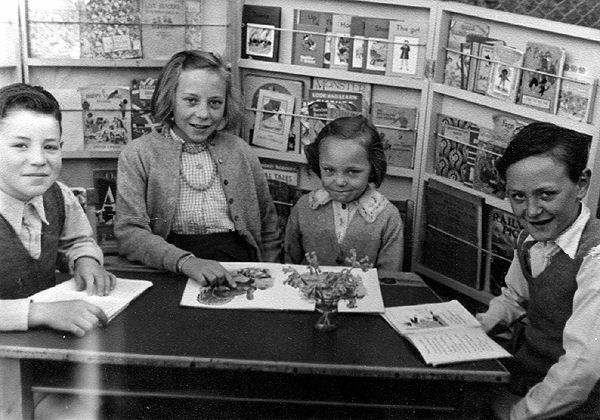 Initially they would have been known as the Lenton National Schools identifying them as a Church of England establishments funded by voluntary donations. 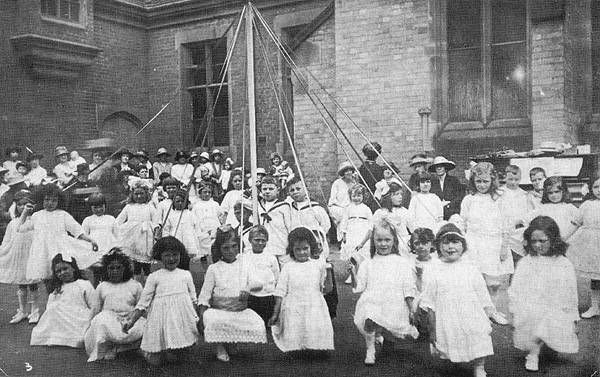 When it first opened the building opposite the church would have had separate Infants, Boys & Girls departments which were housed in a somewhat smaller building than you see today. 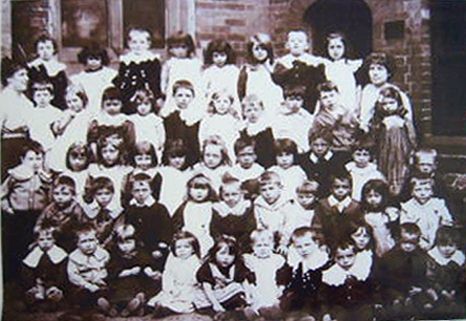 In 1851 a separate building was erected on the other side of the railway and initially occupied by the Infants School. 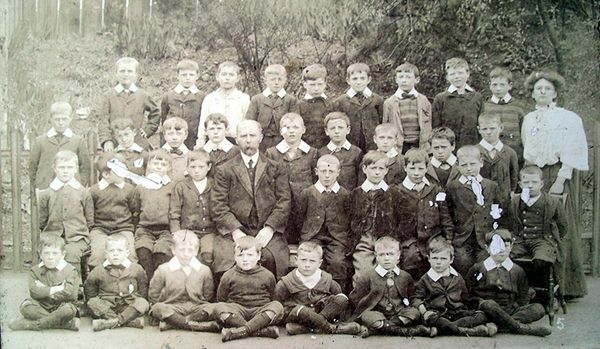 The main building was extended in 1855 primarily to accommodate a greatly increased number of boys. 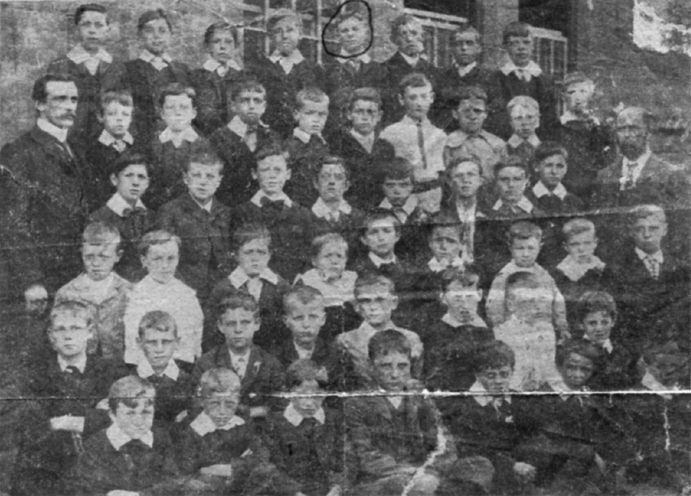 In 1896 the building which had hitherto just housed the Infant School underwent a further enlargement and once the builders had completed their work it became a new home for the Boys School with the Infant School moving back into the main building alongside the Girls School. 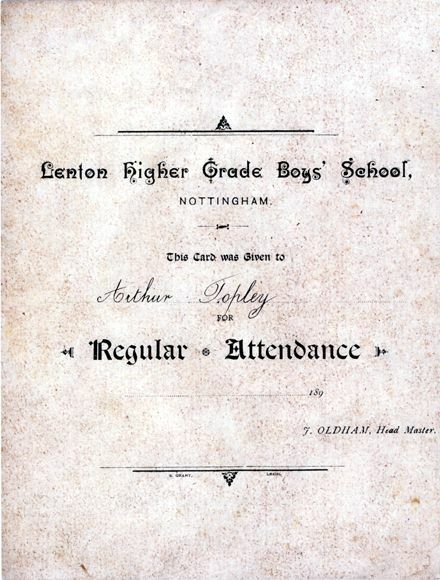 An elementary education was all that was initially available at the Lenton Church Schools but in the 1890s they were allowed to offer a slightly expanded curriculum to their older pupils having gained the status of a Higher Grade Schools. 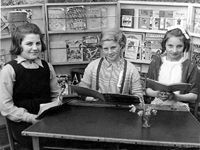 The separate Boys and Girls Schools remained in existence until 1931 when the Cottesmore Boys and Girls Schools were opened. 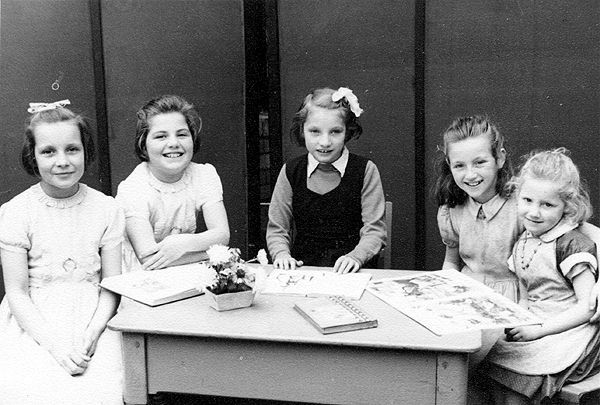 From the age of eleven pupils would henceforth go to Cottesmore and the Lenton Church School now became a mixed Junior and Infant School. They had the run of the two sites until 1954 when falling rolls prompted the church authorities to confine operations to the building on the other side of the railway. 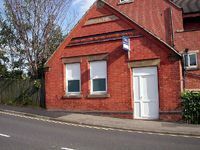 The building opposite the school was then used as parish rooms. Lenton Church School finally closed in 195? *exact date to be added*. The building on Church Street is one of the two properties built for the headteachers of the Lenton Church Schools. Photograph taken in the 1980's. The building is now part of the Sikh Gurdwara. 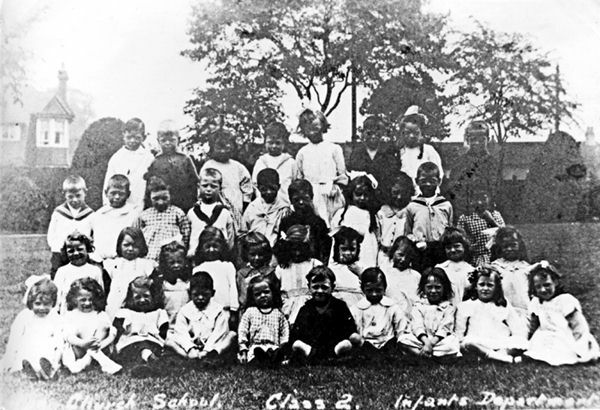 At one time the Church Street School operated on two sites. 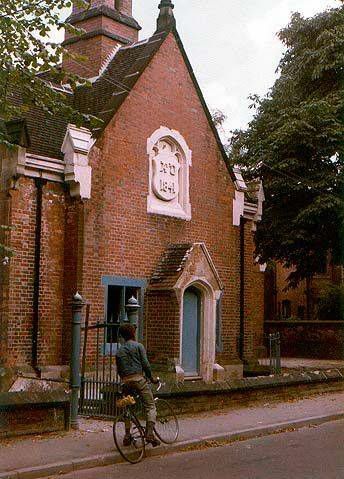 After the school's eventual closure the annexe building was converted into industrial premises and more recently most of the building demolished to make way for a student accommodation complex. All that now remains of the annexe building is part of the 1896 extension shown in this photograph - this was retained for inclusion in a student accommodation block known as 'Albert Square'. 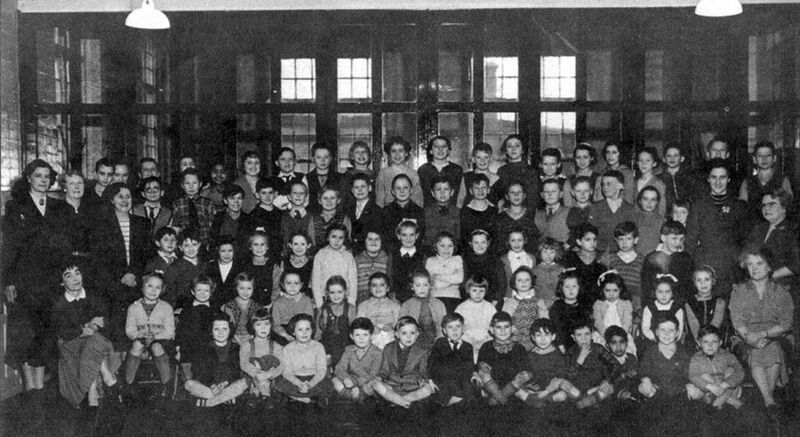 Do you have any historical information or other photographs of this school? If so, email us with the details or write to us.